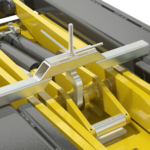 The UnoLiner B10 Bench Adapter is the standard yet versatile bench adapter for all UnoLiner bench frame machines. 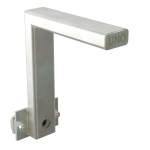 Each UnoLiner Straightening Bench Set comes equipped with four of these bench adapters, which can be placed all around the bench frame with its unique “Quick Lock” one-bolt locking system. 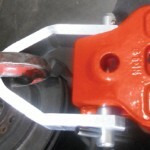 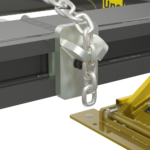 The B10 supports all types of UnoLiner chassis clamps. 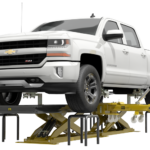 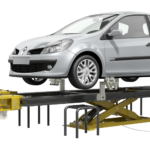 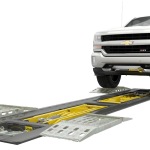 The B10 ensures fast and secure mounting and anchoring of chassis clamps (shown: the C10 Chassis Clamp and the C30/C31 Truck Chassis Clamp) on all UnoLiner straightening benches. 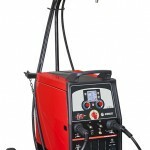 Its sturdy construction and practical design guarantees safety and durability.